Seasickness? We have the solution! 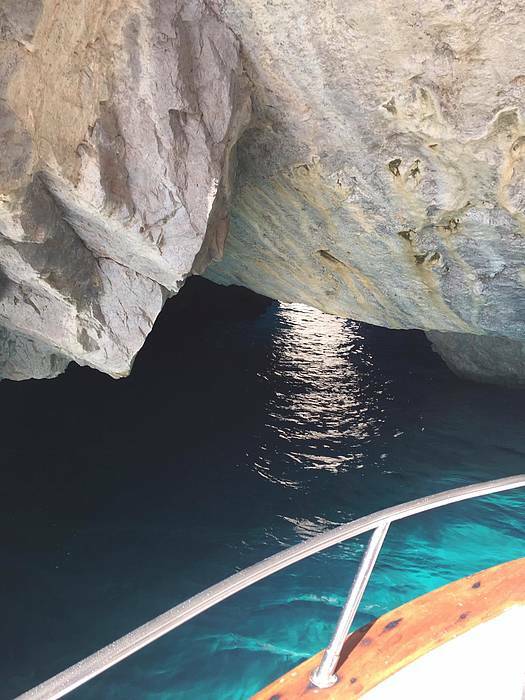 Make your trip into the sea an unforgettable day. 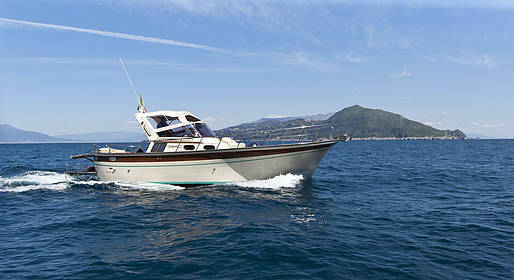 By renting our boat Aprea 32 with Seakeeper technology, rough seas will no longer be a problem. By eliminating boat roll, Seakeeper transforms everyone's experience on the water. Less worries, more smiles !!! On board you'll find WC, cold alcoholic and non-alcoholic beverages, sweet snacks, personalized beach towels, and sun block. 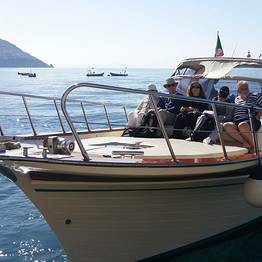 Departures from Positano are on the Spiaggia Grande pier near our ticket office. From other departure points, we will come pick you up at the port and will tell you where to meet us. If weather conditions are rough, you can move your tour to another day or cancel with no penalty charge! Your credit card will be charged 50% of the total upon booking; the remainder is due on the day of your tour. If weather conditions are rough and your tour is cancelled by the captain, you can move your tour to another day or cancel with no penalty charge. For cancellations made up to six days before the reserved date, there is no penalty charge and the deposit will be reimbursed. For cancellations 50% made between three and five days before the reserved date, 50% of the total will be charged. For cancellations made two or less days before the reserved date and for no-shows, the total amount will be charged. "The entire trip was amazing. I would recommend to anyone. " 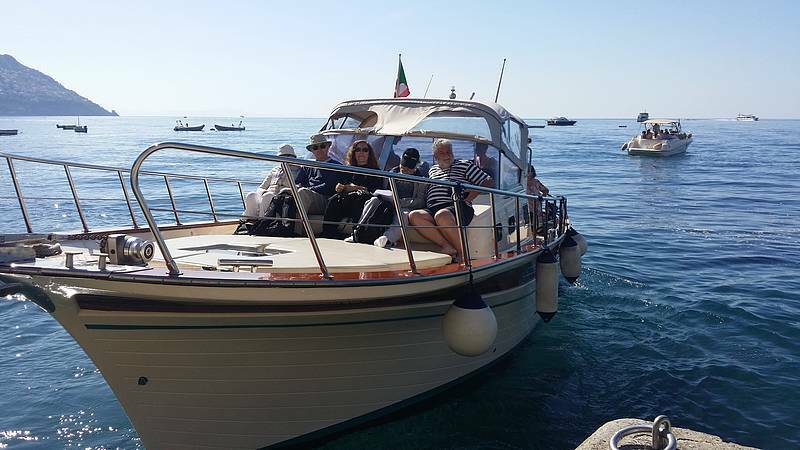 "Our shared boat tour of the Amalfi Coast was one of the highlights of our trip...perfect in every way. Wonderful captain, comfortable boat, towels and drinks, and fantastic scenery. Excellent value." "Lovely friendly crew. A fantastic day to remember , we had great fun, thank you!" "Andrea and his brother were phenomenal. We do not have a single complaint about our day, it was perfect in every way. It was worth every penny, and we will definitely be using your services next time." "Fabulous time! 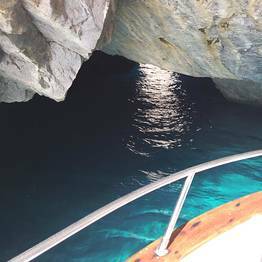 We would recommend doing this charter to Capri." "Enzo was an amazing captain and helped make the experience for us. He was very knowledgeable about the coast and was also a lot of fun to be around." "Fabulous day. Enzo is amazing we were so lucky to have him. Take his advice on the luch at the private beach. So much food met some lovely people. Enzo provided cold drinks lots of swims. Best value. " "So glad we made this part of our trip. Michael, our captain, was very knowledgeable about the coast. Loved swimming in Minori and the whole trip. Would highly recommend!" "It was a terrific experience and the highlight of our trip. Andrea was exceptional and Fabio our captain was truly one of a kind! " "Our captain was Cosmo and he was fantastic. We really enjoyed our day. "